This light soup will freshen up your diners day. Make as simple as this, or you can create more by combining with many ingredients. Dissolve Knorr Cream of Chicken Soup with water and cook until slightly boiling, after boiling reduce heat slightly, add the Knorr Chicken Powder, stir, cook for about 5 minutes. Turn off heat, add cooking cream, stir, remove from heat. 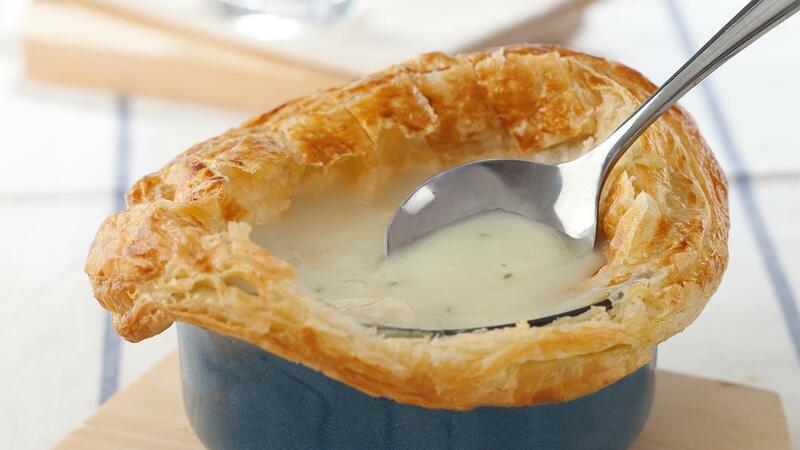 Pour the soup into the bowl, then cover with puff pastry, spread the puff pastry with egg yolk. Bake in a preheated oven at 200 ° C for about 10 minutes.